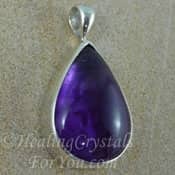 Eucryptite stones have an energy that is advantageous to assist with the release of endorphins, which may relieve stress and help you to feel better. 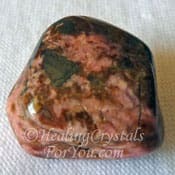 The effect of the energy of these crystals is also known to be helpful to create increased abundance and prosperity and it may aid your communication. They may be used to grid the environment and this is known to harmonize the ley lines and the earth energy of the location where they are placed. 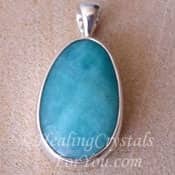 They are extremely useful to use if you are a member of a meditation group, as they have a lovely soothing energy that may help everyone to concentrate better. 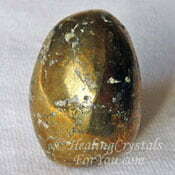 They have beneficial metaphysical properties for healing and are also known to deflect microwave radiation and are therefore useful EMF protection stones. 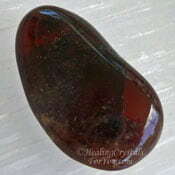 The name of this stone comes form the Greek word meaning "well concealed". 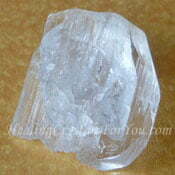 This relates to the fact that it is often found in combination with white Albite, and can be hard to find and to identify. 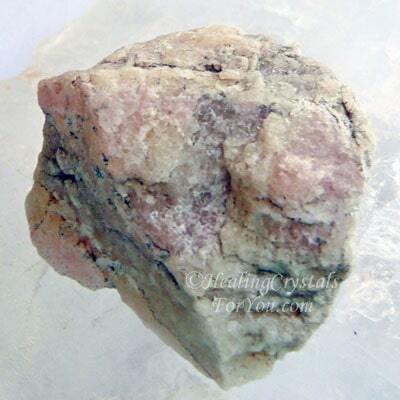 Eucryptite is a fairly uncommon stone that is mainly found in Zimbabwe and in Western Australia as well as in various locations in the USA, including New Mexico and New Hampshire. These stones are lithium bearing aluminum silicate minerals that is found in the massive form as well as hexagonal or trigonal rhombohedral crystals. They are fluorescent minerals so may often be photographed showing them as bright blue and red stones, with pictures taken using the fluorescent light to show their attributes. These stones are fluorescent minerals. 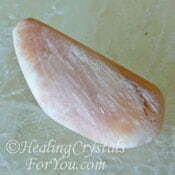 The normal color of the stone may be white, pink, tan, pinkish brown, gray or colorless. 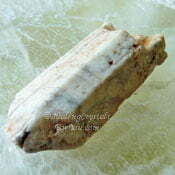 This may depend on whether it is in combination with White Albite, when it may be hard to distinguish which stone is which. 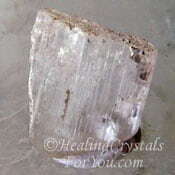 You may notice that many of my stones are the pinkish color with a white coating on them, which may possibly be Albite mineral. Why Would You Use Eucryptite? 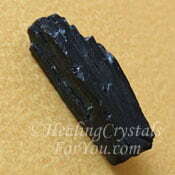 Eucryptite crystals encourage abundance and prosperity, and assist you to calmly communicate your thoughts verbally. 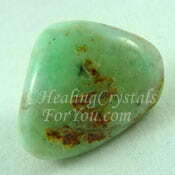 They have a lovely calming resonance that makes them excellent stones to use during meditation, either alone or with others. Their energy especially helps you to keep focused when meditating in a group, where you are likely to become more easily distracted. 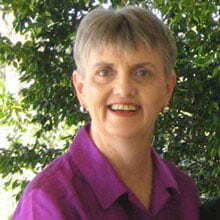 Their vibration will help group members to stay on track and keep their attention on what they are doing. They will also block disharmonious energy from interrupting you during meditation. 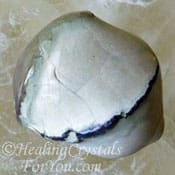 These stones are said to conceal your vibration from others, so may be useful used when a large number of people are gathered together to keep others from noticing you. They are useful to use in meditation to help you to make contact with your animal guides, both spiritually and physically. Use them to connect with a totem animal in order to help your life. 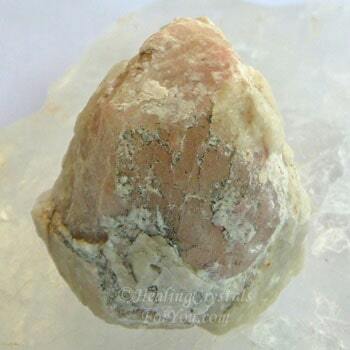 These crystals resonate within the the crown and soul star chakra, and are powerful to aid you to more easily reach the relaxed harmonious state needed for successful meditation. 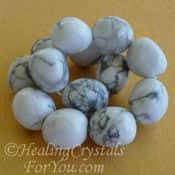 These stones are useful stones to use to grid your environment, as they help you to feel calmer, while also preventing discordant energy from disturbing you. 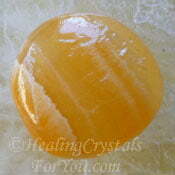 Their vibration is also known to help to harmonize the ley lines and earth energy of the area where they are located. 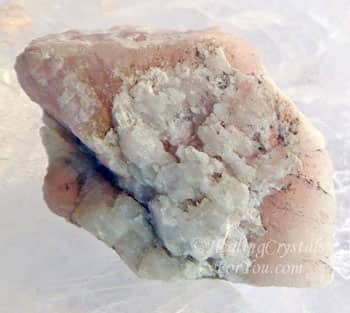 These crystals emanate a quite a restful and soothing vibration that is favorable for learning, and are said to be beneficial for teachers to use. 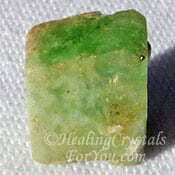 This is a Libra birthstone and while it may be difficult to find this stone made into jewelry, if you can obtain a small piece of this stone it can be worn in a macrame holder, or simply placed in your pocket. 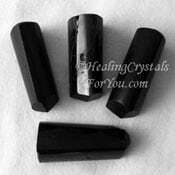 These stones are extremely helpful to assist electromagnetic hypersensitivity as they are known to deflect microwave radiation. It can be stressful for those who have electrical sensitivity to cope with this problem as there are so many devices in the world these days. 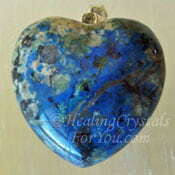 These stones are extremely useful as they aid both issues. They both help to relieve stress and also boost how you feel by helping the release of endorphins, so this is very helpful if you are feeling unwell. 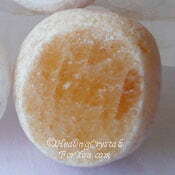 They are known to stimulate the acupuncture energy meridians, and may help with RNA/DNA restructuring. 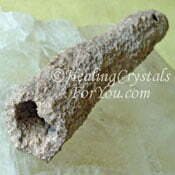 Their crystals healing properties relate to helping you to release energy blockages. When they are placed on the body during a healing session, when they are put on a place where a blockage is present, they are known to change temperature. As they have a good action to deflect microwave radiation, they are useful stones if you have electromagnetic hypersensitivity. 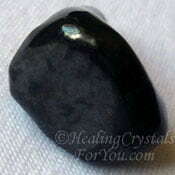 There are a number of other EMF protection stones that you might like to use including four of my favorites, Black Tourmaline, Shungite, Fulgurite and Aegirine, because they work so well. 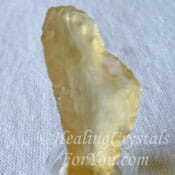 For more information on methods to mitigate EMF's in your environment and to discover other stones to use for this purpose, check out my article about EMF protection crystals. 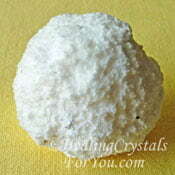 These unusual stones are extremely useful to relieve stress as they contain high amounts of natural lithium. Simply holding one in your hand is quite calming. 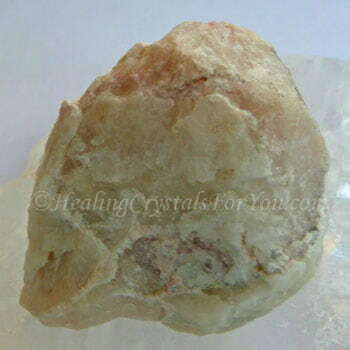 If you feel you need more help to soothe and calm you over and above using this stone, there are a large number of other stones that will help to relieve stress and anxiety. There are many stones listed in the article on ways to relieve stress, and while I will recommend some here, there are a lot more listed in my article so check it out and see if you already have any of the others. Specific stress relief crystals shown below are: Mt Hay Thunderegg, Amazonite, Kunzite, Howlite, Amethyst, Pargasite, Bustamite and Chrysoprase. 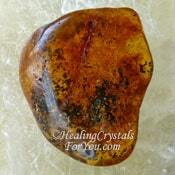 These stones are also known to encourage the growth of abundance and prosperity close to where they are located. 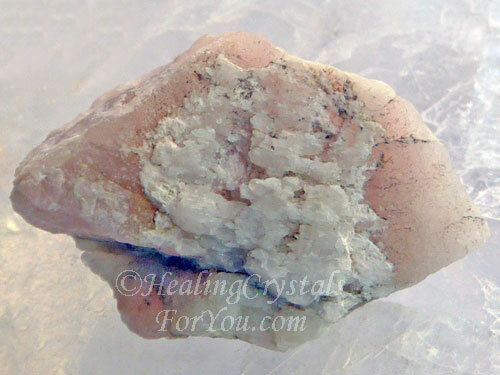 If you would like to use them for this purpose, create a grid and combine these crystals with some of the other well known manifesting stones. 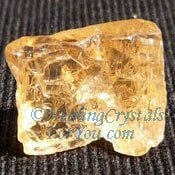 Stones you might choose includes Yellow Citrine Crystals, Amber, Yellow Topaz, Orange Calcite, Libyan Desert Glass or Chalcopyrite. These are effective soul star chakra and crown chakra stones that have a highly beneficial action to assist you when you are doing meditation. It may be beneficial to use them with other stones that are known to aid you to more easily slip into the meditative state. 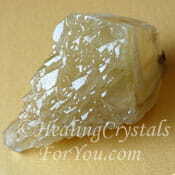 Stones you might choose includes Stellar Beam Calcite, Wollastonite, Beryllonite, Mordenite, Azurite and Stilbite.